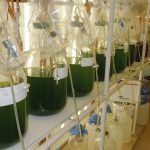 The Microalgal Culture Workshop scheduled for January 30-31 in Cedar Key is postponed due to the continued shut-down of the federal government. Dr. Gary Wikfors, the guest speaker, is director of the NOAA Fisheries Laboratory in Milford, CT. He is a ‘non-essential’ federal government employee, who is currently not allowed to work. We hope to reschedule this workshop in the spring. Sorry for any inconvenience if you have made plans to travel to Cedar Key. 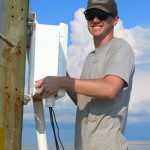 A webinar is being hosted by the Southeastern Coastal Center for Agricultural Health and Safety and UF/IFAS Center for Public Issues Education to discuss the “Occupational Health and Safety Surveillance of Gulf Seafood Workers.” Commercial ocean fishing is one of the most dangerous occupations in the world. Workplace-related illnesses, injuries, and deaths are not uncommon for commercial seafood workers, and many of these adverse outcomes are avoidable in this mostly self-employed uninsured, hardworking workforce that feeds our nation. Dr. Andy Kane, UF Associate Professor of the Department of Environmental and Global Health and Director of the UF Aquatic Pathobiology Laboratories, will present his research on commercial fishery workers and safety in the southeastern US. This project addresses critical gaps in our understanding of hazards and risk factors for Gulf seafood workers. 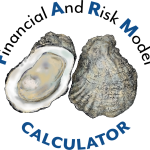 For those shellfish growers who signed up for the Noninsured Crop Disaster Assistance Program, or NAP, with the USDA Farm Service Agency (FSA) for crop year 2019, there is a 72-hour requirement to notify your county office when crop losses are apparent (that means when you have been able to inspect your crop and know that you have had mortalities). 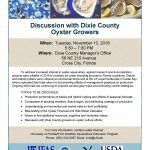 For oyster growers in Wakulla County, your local office is in Monticello. The phone number is (800) 243-9912 or (850) 997-2072, ext 2. For shellfish growers in Franklin County, the Blountstown office is closed, contact the Wakulla County office instead to report losses. You will also need to get your inventory records together for before and after Hurricane Michael. Shellfish growers are already hard at work recovering gear and assessing damages in the Panhandle and Big Bend areas. 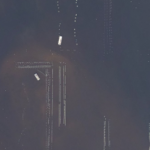 To view Hurricane Michael Imagery of the lease areas from NOAA’s database visit: https://storms.ngs.noaa.gov/storms/michael/index.html#. 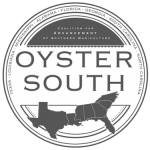 For any growers affected by Michael, you may want to join the Oyster South Growers Exchange group. People are posting pics of recovered gear, offering assistance, and coordinating hardware store runs. Visit https://www.facebook.com/groups/oystersouthgrowersexchange/ to join the group. 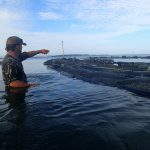 Triploid oyster aquaculture has become an integral part of the global molluscan aquaculture industry. Currently, triploid Pacific oysters account for 50% of the production on the west coast of the U.S. and nearly 100% of the eastern oyster seed production in the Chesapeake Bay. 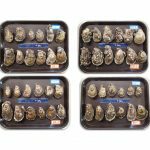 The industry widely recognizes the use of triploidy in oyster aquaculture because of their potential for fast growth, superior meat quality (especially in summer), year-round harvestability, and low environmental pressure on wild populations (due to their sterility). 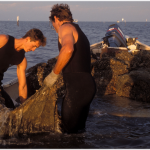 A fact sheet written by UF/IFAS faculty provides a review of production and performance of triploid oysters for aquaculture. Methodologies, survivability, and ploidy determination are also described. Download the fact sheet (pdf file) here. Visit the UF/IFAS EDIS (Electronic Data Information System) website to view all current fact sheets on a variety of topics.